Located at 710 W. Trade Street, Gateway Lofts are modern residential lofts in the heart of Gateway Village. Completed in 2001, the 51 residences offer industrial, urban chic interiors with 20-foot windows to take in views of Gateway Village, Third Ward and Johnson & Wales University. Gateway Village combines living with commercial space, dining and entertainment. The lofts are walking distance to numerous shopping and dining destinations in addition to the Gateway Village YMCA, Knights and Panthers stadiums and Uptown parks and green spaces. 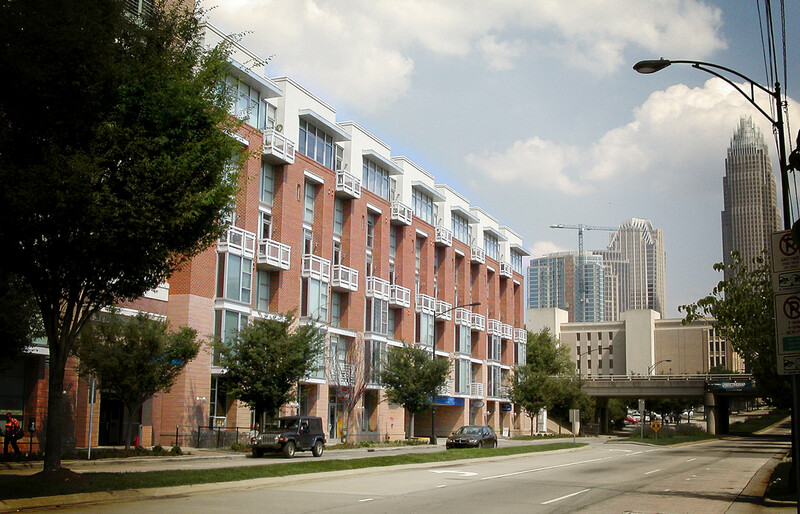 Gateway Lofts are typically 1-bedroom, 1-bathroom residences. Some have living space and kitchen on the first floor with stairs to a bedroom and bathroom loft space; other residences are true loft spaces on one floor. The industrial interiors have 15-foot ceilings, exposed brick walls, duct work, concrete ceilings and stained concrete floors. Some units have balcony space, while others have extended living room with floor to ceiling glass. Prices in Gateway Lofts range from high $100,000s to low $200,000s. Most of the residences are in the 800-square-foot to 1,100-square-foot range. The building has secure access and secure parking for residents. Eight loft units sold during the last 12-month period at an average sales price of . The average sales price of those units was $212,875 and nearly $250 per square foot. Those sales averaged 98.7% of list price. There are currently 2 residences for sale in Gateway Lofts as of Dec. 11. Neither is under contract. List prices for the 2 residences are $199,900 and $275,000.